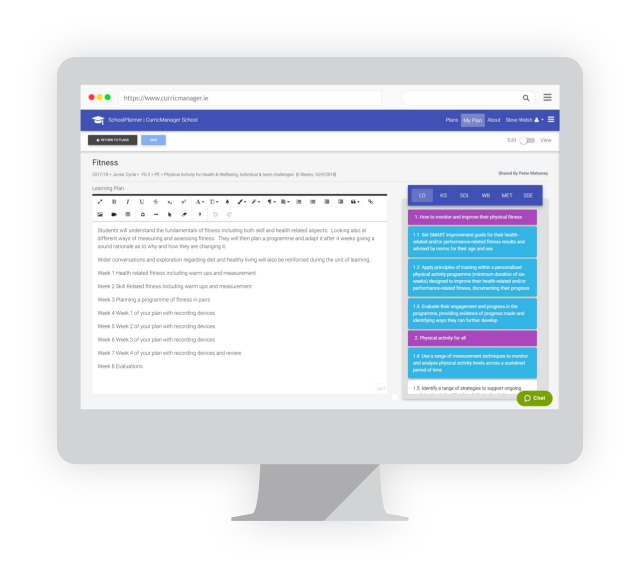 CurricManager is a cost effective suite of products that support and enhance teaching, learning and administration across both primary and post primary sectors. A powerful and highly effective platform that is so easy to use. SP links planning and SSE across the school. Reports show it embeds teacher knowledge around the new curriculum and promotes collaboration around teaching and learning to improve student outcomes. PS is an innovative school based admin support plug in that saves time and makes the lives of principals, teachers and administrators a lot easier. ParentSign is the first permission management system that is legally compliant and designed especially for schools. Currently in testing and will be available to primary and post primary schools from September 2018. LP will be released in 2019 which will link seamlessly into SchoolPlanner providing more interactive functionality for supporting teaching and learning in the classroom. Let’s keep you in the loop.